Neither now nor in the initial years of AME Church expansion was the denomination restricted to American soil. Bishop Richard Allen’s endorsement of a mission to Haiti in 1824 and Bishop Morris Brown’s welcoming the founding of the Canada Annual Conference in 1840, made African Methodism a religious refuge for persons of color within the western hemisphere. From Haiti, the denomination through the remainder of the 19th century and into the 20th century expanded elsewhere in the Caribbean. The Dominican Republic, Barbados, and Cuba became a part of the denomination in 1874, 1893 and 1898, respectively. In the 1910s and 1920s, congregations in Jamaica, Trinidad and the Virgin Islands were organized. 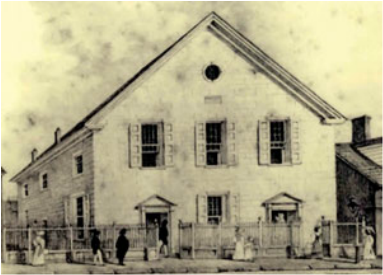 When the Canada Annual Conference was re-established as the British Methodist Episcopal Church in 1856, the religious body extended to Bermuda and British Guiana. The energy and vision of Bishop Henry M. Turner brought the AME Church to Africa in the 1880s. He organized the Sierra Leone and Liberia Annual Conferences in 1891. Out of South Africa, the AME Church stretched northward into nations such as Namibia, Lesotho, Botswana, Swaziland, Mozambique and Angola into Central Africa. Missions are also in Malawi, Zambia, Zimbabwe and Tanzania. Ghana and Nigeria in West Africa are also part of the denomination and a host of other countries on the continent.